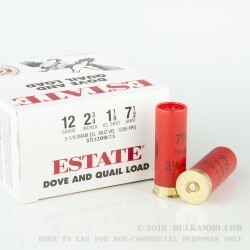 This cost-effective 12 gauge birdshot load, from Estate Cartridge, is well suited to bringing down targets of both the clay and the feathered varieties. Each shell in this bulk priced case of 250, packs 1-1/8 ounces of #7 1/2 lead shot into a 2-3/4" hull. A great choice for all your sporting needs. 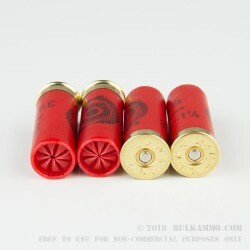 This ammo has low penetration and should not be used for self-defense. These shells are loaded in the USA by Federal, which shares a parent company (Vista Outdoor) with the Estate brand. Grab a few boxes and put some holes in your targets instead of your wallet!